Selling your home? Don’t know where to start Wondering and questioning whether to tidy up and even style yourself or call in a professional? Whichever you choose, Macys Mobile Self Storage facility will have a solution for the excess items when you tidy up for the sale. So, you’ve decided that it’s time to sell your home. As Sydney Siders, we’re all pretty property save and we know the market, but what about presenting your home for the best bang for bucks. It’s all about the styling! Is it something you can DIY or is it better to shop around for a professional home stylist? Whichever way you go both options have their good and bad sides. With the professional, you’ll get right styling and balance your home needs. This can give your home a winning edge. A carefully presented property will photograph well presenting its best and this will boost its presence. This is what you’re aiming for when attracting buyers and wanting them to remember in the marketplace, get this right and you’re on the way with your successful campaign both on the internet and at the opens. A full service where all the furniture and accessories, this is the most difficult for you and your belongings will need to move out during the sales campaign. 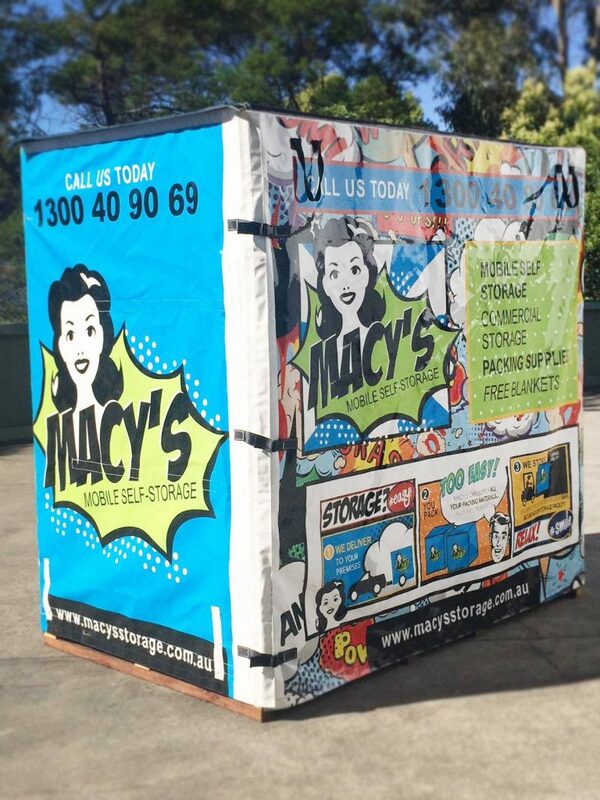 This is where Macys Mobile Self Storage facility can assist in the process. Providing you with our mobile self storage modules to load up with all your belongings during the process. We’ll deliver as many as you need. Then take your time to load it up, once you’re done simply lock it up, and give us a call for collection. Too easy and really simple in no time you will have the whole storage job done, then sit back and relax and enjoy your newly ginned space. Such a simple relocation and storage process, you’ve saved time money, stress and effort. Remember getting an expert will take the emotion out of it, styles and presents your home for the market thus ensures that your home presents the best for the sale campaign and targets the best result for you during the process. You’re selling not buying so present it as something the buyers want not what you want. Keep it clean and decluttered avoid overdoing it and making it personnel. Dress your beds with simple clean lines light and fresh, like a homewares showroom. Use as much natural light as you can don’t have dark spots. Always keep it clean fresh and sparkly and also clutter free, you never know when the agent will drop in with a prospective buyer.